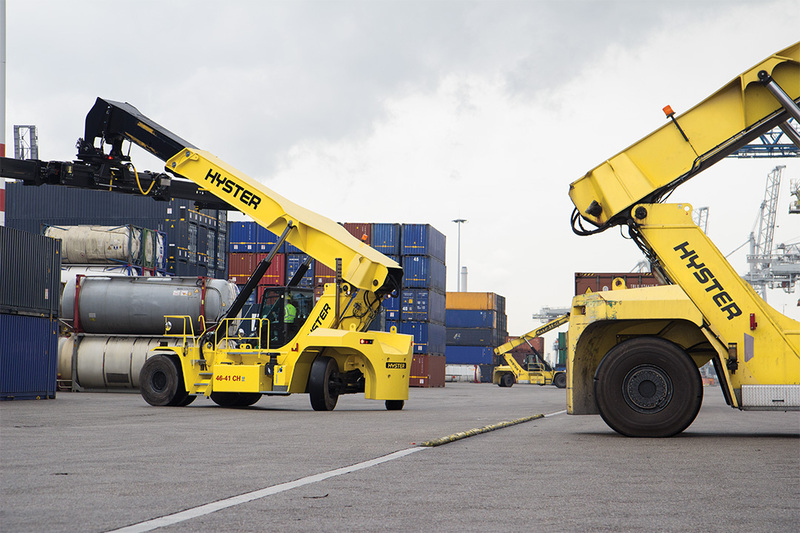 The Hyster® RS46 container handlers are well-suited for a variety of applications and available in many configurations. 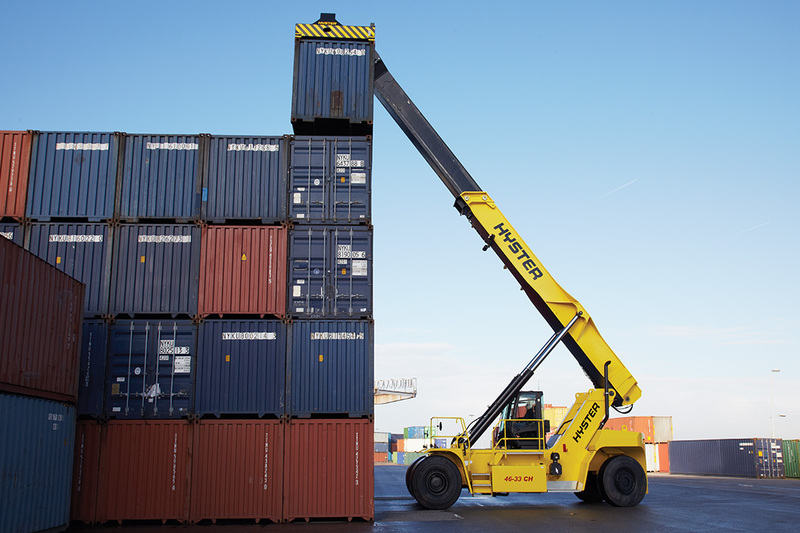 With innovation at the heart of every Hyster big truck design, we’ve delivered one of the most reliable materials handling trucks on the market, with a low cost of ownership and outstanding productivity. Seven models in the RS46 series are available, all offering capable lifting for stacking and storage of containers in the first row up to 6 containers high. 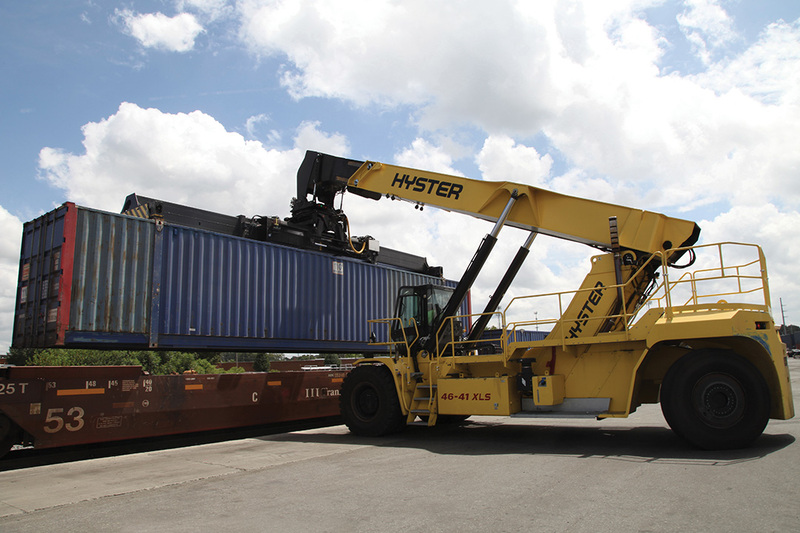 The extendable boom enables container yard operators to stack laden containers up to 3 rows deep. A wide range of configurations and options provide an excellent match to many different applications, which may include intermodal container handling, barge handling, container tipping, steel or wind operations to name just a few. Fuel consumption is a key driver of the total cost of ownership for high capacity laden container handlers. A harmonized system design which includes automatic throttle-up, on-demand hydraulics, on-demand cooling and hibernate idle to deliver lower fuel consumption on Hyster® trucks under varying load conditions. 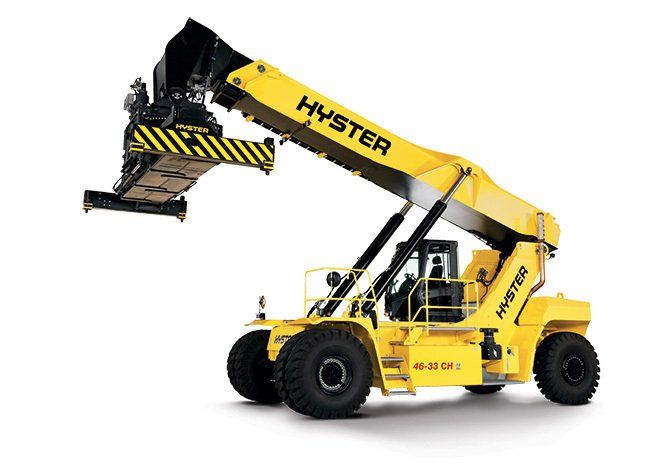 These Hyster solutions provide significant savings in fuel consumption and maintenance costs over the life of the truck.